If you won $2,500 for a family vacation, where would you go? For me, the choice is easy. I’d take our family to the beach somewhere in the Caribbean. Maybe Dominican Republic or Bahamas, I don’t know for sure. Wherever the destination, I know it would be an epic adventure! Now, here is your chance to take a dream vacation. Banana Boat is giving away $2,500 to put towards a family trip of your choice! To enter, share your top tip for summer fun. A couple weeks ago, I shared my own mom hacks on how to get your kids to wear sunscreen. Fill in your info on the form including a description of your mom hack and a photo and you are entered to win! Plus, your tip could be featured as the Hack of the Week! I scrolled through the tips entered so far and found a few I want to try with my own family. Anything that makes life easier is a good thing. The contest ends on June 29, 2016 and is open to Canada. Check out the full rules and regulations for more details. 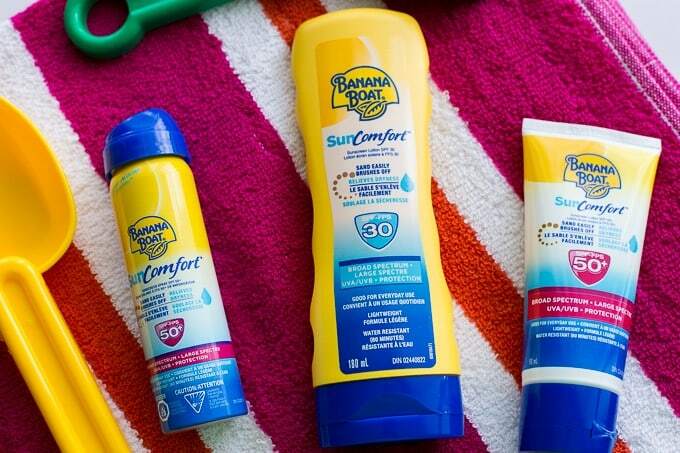 Visit Banana Boat on Facebook now to share your mom hack and enter to win. Best of luck everyone!